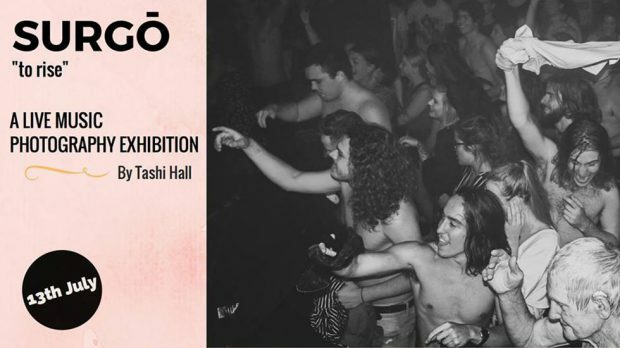 Tashi Hall presents Surgō, a live music photography exhibition launching July 13 and running until July 27, upstairs at Mills Records. Tashi’s exhibition begs the question what is it about a photo that makes us stop, think and feel? What is it exactly that makes a photo engaging and how can it represent a creative being’s true emotion? In 2015, already heavily involved in the Perth music scene, Tashi started taking her camera to gig to photograph her friend’s bands. Tashi has kept going and is now photographing some of the worlds most famous musicians such as Florence and The Machine, Macklemore, Troye Sivan, Matt Corby and Tame Impala. Tashi strives to connect the audience to the photograph with an emotional engagement from both the audience and musicians. Surgō launch night is Thursday, July 13, doors open at 5:30 and there is a $10 entry charge to cover drinks and nibbles.